Somewhere in my parents’ house there exists a grey, hand-painted ceramic koala bear. He’s perched on a branch. The branch is grey too. Apparently my painting skills as a seven-year-old were not up to scratch (it’s my older brother who’s the real artist of the family). 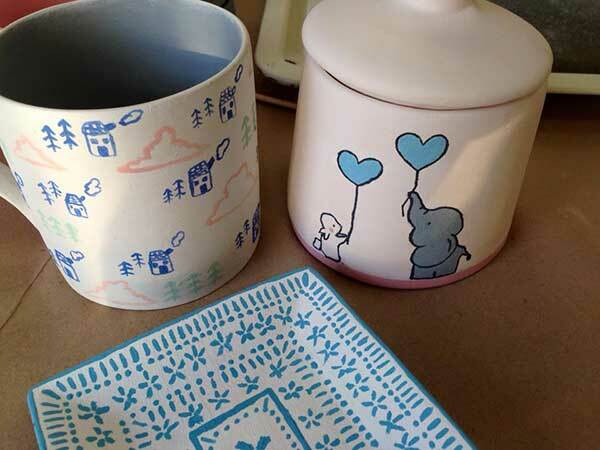 But while he’s not much to look at, that koala is imbued with a very happy childhood memory of a day spent playing with paint, with my only sibling, my mother and my late grandmother. 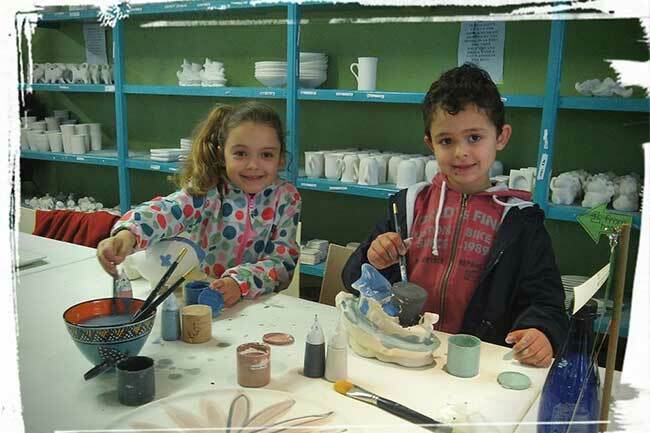 I didn’t paint the koala at Clay Cafe – we’re talking 22 years ago, after all – but I imagine that a decade or two from now, the little ones enthusiastically decorating their pottery at this pleasant spot in Hout Bay will have equally happy memories attached to their finished products (especially if they’re not in their grey period). 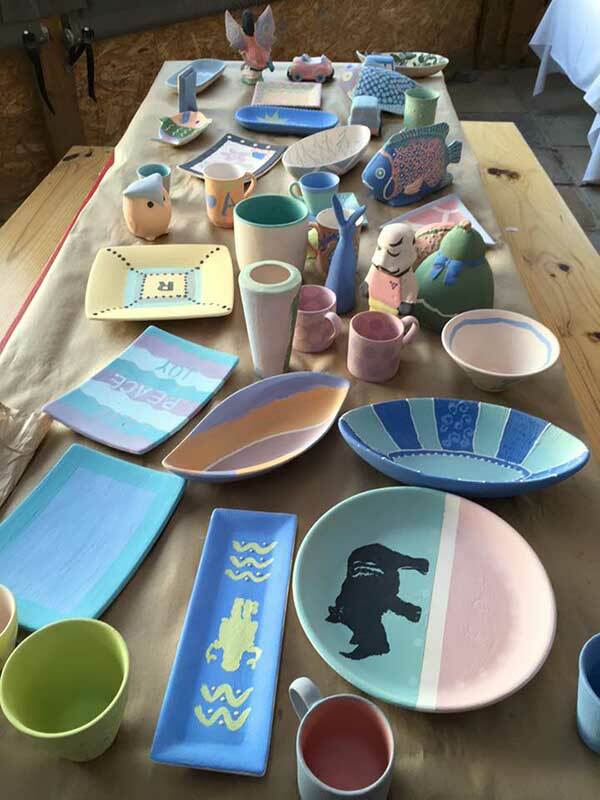 Clay Cafe offers around 200 different bisques (a bisque is a ceramic item that has been fired only once, ready to be painted). 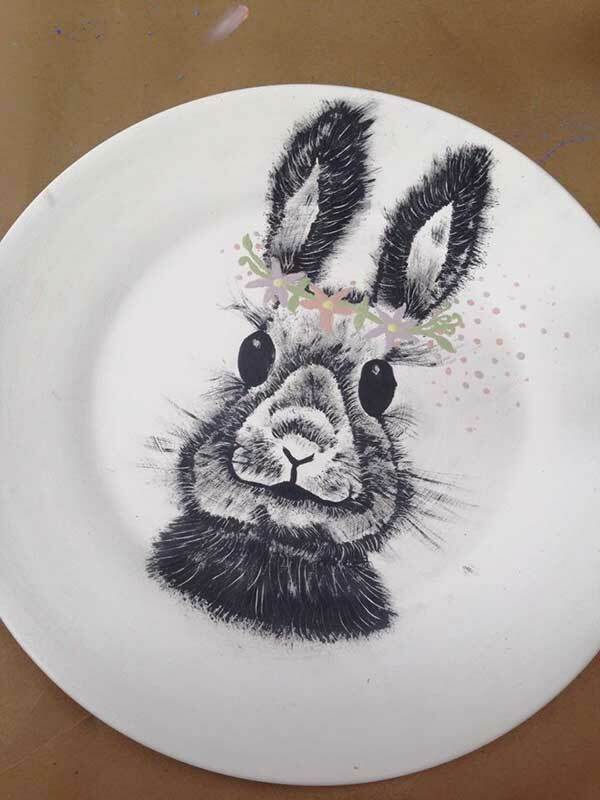 Your little ones can choose from mugs, plates, bowls and vases to more imaginative items such as fairies, owls, hearts or even a storm trooper! Bisque prices range from R20 to R250. 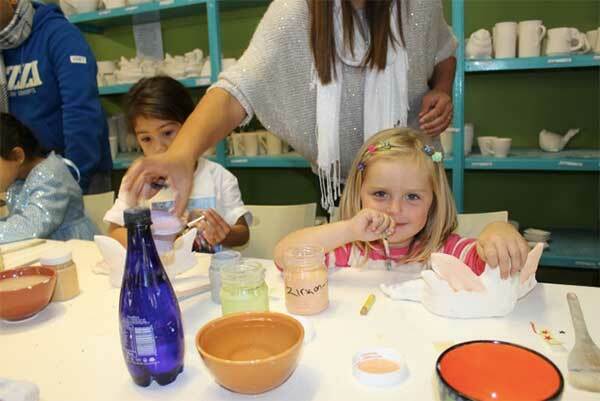 Paints, brushes, stencils and sponges are included in the studio fee of R35, and once they’ve chosen their three paint colours, the fun really begins. It’s quite astonishing, in fact, to see kids that would otherwise be tearing around creating havoc, sitting quietly, completely focused on their work. And when they’re finished with their masterpieces and that tearing-around energy reasserts itself, there’s a playground, trampoline set and jumping castle ready to help burn it off. That means you, the parents, can remain right where you are – on the covered stoep, enjoying a cuppa and taking in the gorgeous views over Hout Bay. Rumbling tummies are no problem. The on-site kitchen offers a menu catering to both big and little people, from salmon scrambled eggs, pizza or healthy wraps and sandwiches, to kiddies’ nosh in the form of hot dogs, chicken strips and toasted sarmies. Click here for the Clay Cafe menu. Obviously, Clay Cafe makes an excellent spot for kids’ parties, and they’re well equipped for descending hordes of budding artists. Party packs are available, or use the booking form to order full-scale catering. But why should the kids have all the fun? Clay Cafe is happy to host team-building events, kitchen teas, baby showers and book clubs too. 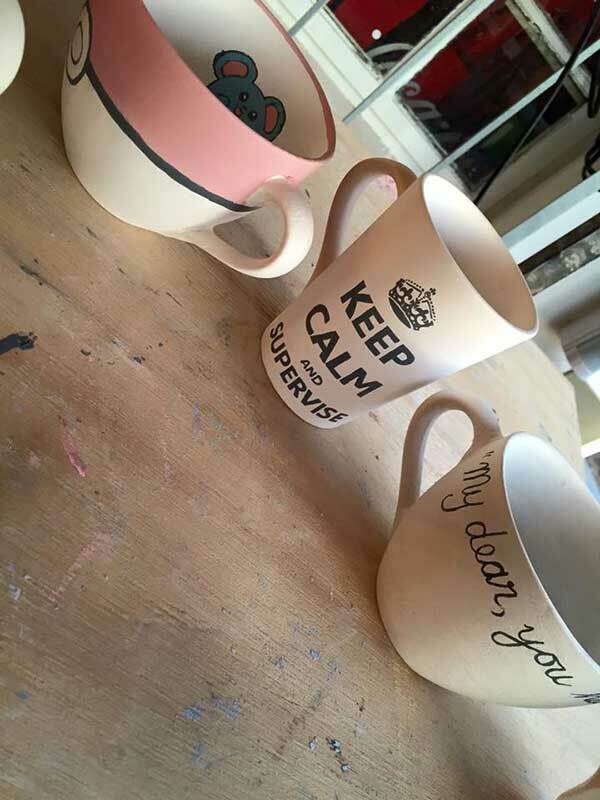 Good to know Your painted items will need to be fired and glazed, which means unfortunately you can’t take them home immediately. Please collect 10 working days after your visit.